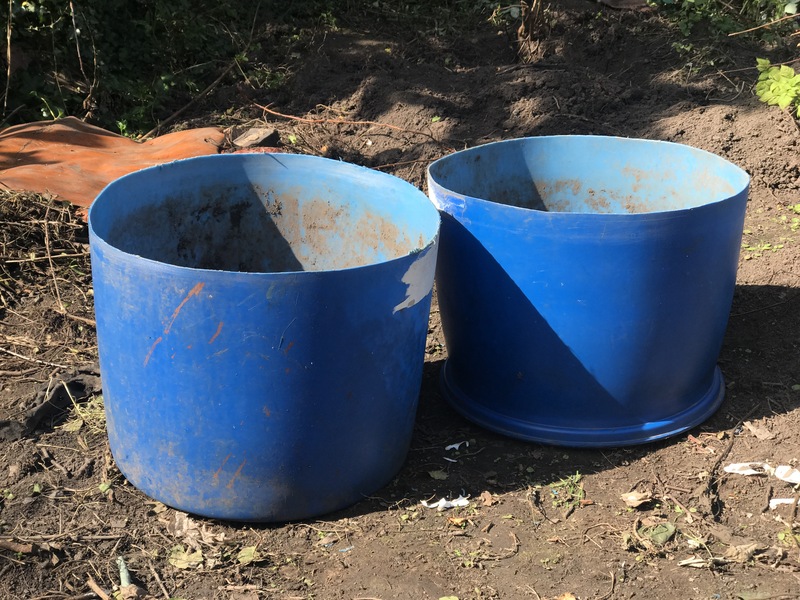 I picked up the ugly blue tubs from Gumtree (for free) last year when I grew carrots in them. My carrots are growing in the ground this year which meant I had two tubs to fill with something! I bought some paint and coated them in a few layers over the sunny Bank Holiday. As you can see, they were pretty ugly and industrial looking! Now they’re a pretty pastel shade of green that perfectly matches the colour of the table and chairs! Next was the fun part… PLANT SHOPPING! I was looking for plants that would have contrasting foliage with pastel shades and pink flowers. Texture and shape has always been one of my favourite plant features, so this was also very important to me. The more touchable and surprising to the eye the better! B&Q didn’t have any ferns in stock 😩 They’re one of my all time favourite plantsfor foliage! They would have loved the shady, woodland area at the back of the plot…but I’m sure I’ll add some at a later date anyway. So I made my selection and grouped them together on the shopping trolley to see how they would look! I ended up swapping a showy dahlia for a more subtle salvia ‘pink sensation’. This being quite wide and tall would be perfect in the centre and the back of the arrangement I thought. 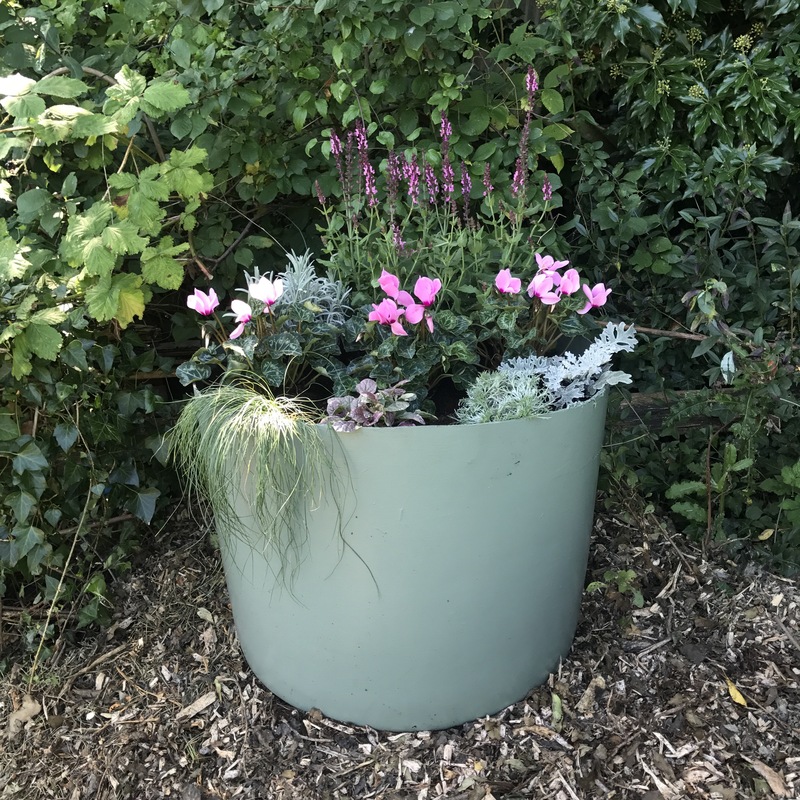 I love how the festuca ‘blue fescue’ grass drapes in front of the planter and how the dark cyclamen leaves contrast against the bright, silvery oak-leaf shaped leaves of the cineraria ‘silverdust’. These might be my first two planters but they certainly won’t be my last! Looking great. What kind of paint did you use?